Fact: the Android update situation is disastrous. Launching a new device with an outdated version of the operating service is bad practice. Google has finally said enough is enough, and no more devices intending to launch with Android Nougat will be certified. Google is moving forward. The company has decided to start fighting the fragmentation of its smartphone operating system with some weapons that should be effective in the long run. As you probably already know, to officially use Android on a device with Google Mobile Services (GMS) support, manufacturers must follow the rules (CDD - Compatibility Definition Document) to ensure the compatibility of their software with all Android APIs, and to guarantee an experience for users and developers consistent with the entire ecosystem. To be certified, devices and their software are tested through the Compatibility Test Suite (CTS) which verifies the application of these rules. By the end of March Google will have finally stop the certification of new devices with Nougat on board. 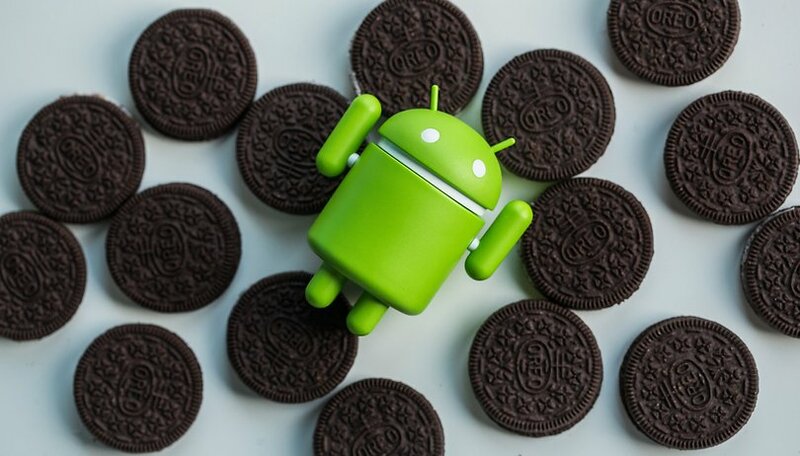 New smartphones released from now on will have to use Android Oreo as their operating system if they want to pass the test, receive the certification and then be able to use Google apps. This leads to another good thing: all the devices presented with Oreo on board must also support Project Treble, the new modular update system from Google. Project Treble is the company's weapon for trying to reduce fragmentation, which won't be immediate of course, but in the near future. The effects of Project Treble should already be noticeable once Android P is released, helping manufacturers to release faster updates for smartphones. Android P is here, but does anyone even care? The bad news is that the block of certifications arrived very late, 7 months after the official release of Oreo and the first preview for Android P developers. For example, last year Google blocked the certification of smartphones with Android Marshmallow in favor of Nougat in January 2017, 5 months after the official release of Android 7.0. Google has more tricks up its sleeve. In addition to Oreo and Project Treble, Google also has Android One and Android Go that should help to spread the latest versions of Android and fast, even on mid-range or low-end device. The Android Enterprise Recommended program should also encourage manufacturers to update smartphones quickly, and over a longer period of time. It only took 11 years and countless versions of the operating system to force Google to tighten the rules regarding software and updates. I am well aware that the only weapon Google had available to push its operating system on giants Apple, BlackBerry and Nokia (Symbian) was to leave it available to as many manufacturers as possible without too many restrictions, after years and the widespread use of Android, Google should have been strict with manufacturers. Google needed as many partners as possible to push its new platform, but now it has the upper hand. Google no longer needs to please manufacturers to convince them to use Android, it will be the phone manufacturers that will need to play by the rules. After all, it is the most popular mobile operating system in the world. Will we ever see Google lose the top spot because of its actions? It's hard to say, but the path we've taken is the right one, even if it is too late to fix a problem that affects more than 90% of the millions of Android devices out there. How do you think Google should deal with the fragmentation problem? I'm just getting a secure update from Nougat to Oreo now (better late with no bugs vs never). I'm guessing from now on? Google is going to have to deal with each Smartphone with Android manufactured individually (comply? or die!) - but really? I just want a stable OS with more frequent Security Patches! Android OS is superior in some ways, but I’ve switched to an iPhone because of the lack of OS and security updates. The "latest" version of Android, for me personally, isn't the issue. Shoot, I got along just fine with Jelly Bean & Lollipop. The SECURITY patches on the other hand, for me is the issue. Yeah, the latest and greatest is "nice" but the holes discovered need to be pushed out as soon as they are fixed. I understand why carriers & manufacturers don't want to spend the time to test updates before pushing them out, given people toss their phones for new ones like an old pair of underwear, and, it's almost easier to talk people into a new phone, than to update.